We all know by now that a record number of women—six—have announced their candidacy for President in the 2020 Presidential election. Just as in the Midterm elections, women have stepped forward to say they have had enough and they can do better. That means enough of governance by men who seek power above all else, men who think power entitles them to abuse and insult women, men who put war ahead of people, and men who will compromise their basic beliefs to hold onto jobs and lavish perks. How will the press—in print, broadcast and social media—treat those six women in their coverage? Will reporters, anchormen, pundits, editorial boards, bloggers, and commentators step up their game and move up to a new level of objectivity? Will they abandon their old tropes and rusty stereotypes to give these female candidates a fair shake? The answer, so far, is a big, fat No and it earns them a Slap-Your-Hand Award. 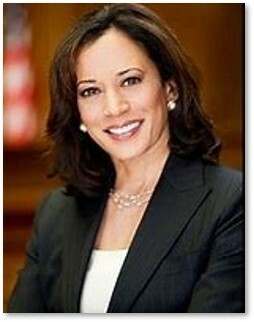 One by one, we have welcomed Kamala Harris, Kirsten Gilibrand, Elizabeth Warren, Tulsi Gabbard, Marianne Williamson, and Amy Klobuchar to the race. One by one, the media have covered them with lukewarm news stories filled with worn-out vocabulary. They mask the latent hostility in these articles by asking “objective” questions. If a candidate does not address a personal issue, the press will mention that lack. The goal is not to report news, but to regurgitate the old words, the shabby images, the veiled insults, and mask them in the name of something they call fairness. 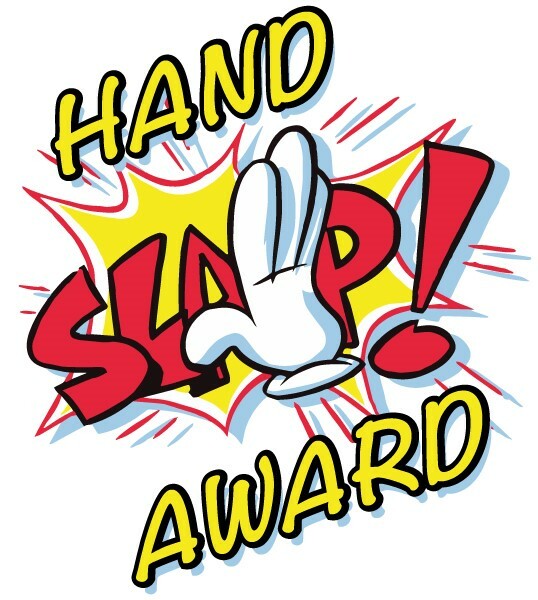 The race has barely begun and already I give the news media a Slap Your Hand Award for the media coverage I am seeing and hearing. And I’m not the only one to notice. 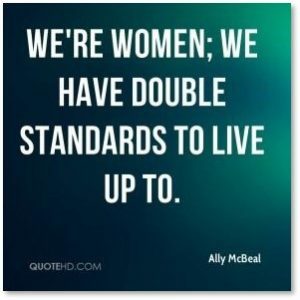 In the Feb. 11 New York Times, Maggie Astor makes similar points: “A Woman, Just Not That Woman’: How Sexism Plays Out on the Trail.” She wonders whether opinions will change with more than one woman in the race. In noting the NYT’s front-page article, the Washington Free Beacon commented, “Sen. Kirsten Gillibrand (D., N.Y.) is fundraising off a front-page New York Times article fretting about sexism and double standards against female political candidates. “Fretting.” Hmm. The writer chose that word to diminish the article’s import and impact as well as the woman who wrote it. Men worry; women fret. Nothing changed = no news. The question simply drags up an old non-issue so Mr. Smerconish can reinforce it on air. He beats a dead horse and calls it reporting. When CNN covered the announcement on the morning news, their story included a sentence that began, “Although Senator Warren did not mention the controversy over her ethnicity …” She did not so they did it for her. By covering what wasn’t said, they got to keep the story alive in the minds of viewers. All in the name of fairness, I’m sure. Remember the words the media hurled at Hillary Clinton? Shrill, unlikeable, stiff, aloof, abrasive. You thought they referred just to Ms. Clinton? Well, think again. 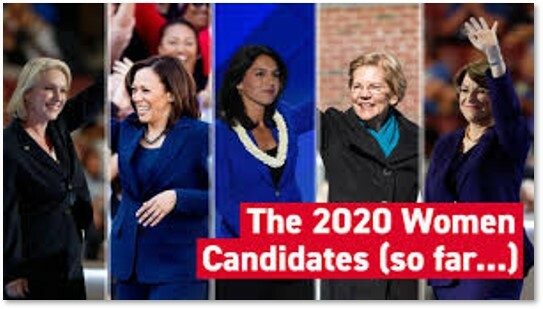 The media are trotting all those terms out for the 2020 race and applying them to the six female candidates. It’s bad enough that voters hesitate to vote for a woman as Commander in Chief. When the news media stoke those fears by using sly innuendos to cover their blatant bias, it just makes the situation worse. We might expect this treatment of Democrats from the folks at Fox News and The Wall Street Journal but those outlets are far from the only ones to pry open the jaws of the anti-female candidate trap. 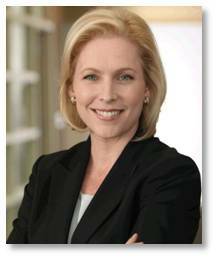 Notice that the reporter was a man asking a question designed to diminish Mr. Gillibrand and shift her candidacy from issues to personality, from the front page to what used to be known as the Society Page. In a Politico article, “Warren Battles the Ghosts of Hillary,” Natasha Korecki wondered how Senator Warren could “avoid a Clinton redux—written off as too unlikeable before her campaign gets off the ground.” Really. 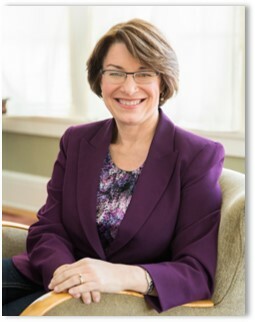 Talk about throwing a female candidate under the bus. 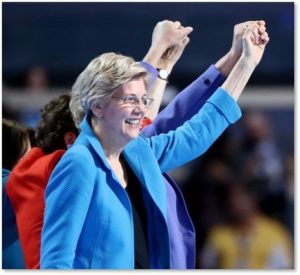 Ms. Korecki also notes, “the anti-Elizabeth Warren narrative was written before the Massachusetts senator even announced that she was exploring a presidential run.” A woman wrote this claptrap as part of that narrative. In the business world, complaining that your boss is too tough just might get you fired. No one ever complained that Teddy Roosevelt or Lyndon Johnson was “too tough.” It was their job to be a tough boss doing a tough job and aides considered it a badge of honor to work for them. So, even though the race has barely begun, I’m giving the news media a Slappy Award for sloppy, lazy, biased coverage of female candidates. It hearkens back to the fifties when men felt entitled to belittle and humiliate women. These words, these questions and these insinuations have nothing to do with news or fairness or objectivity. I give a Slap-Your-Hand Award to the news media with the hope that they will straighten up and fly right for the rest of the campaign.